Registered nurse certification is an important proof for verifying the skills, knowledge and abilities of a nurse. An RN not only aids in preventing diseases and coping with the illness, but also collaborates with the family members of the patients by providing them emotional support. The certification is only obtainable to the state-licensed registered nurses, and is issued by one of the most recognized institutes in the U.S., the American Nurses Credentialing Center (ANCC). In critical situations, patients demand intense care, which can be provided only by a team of highly skilled professionals. A certification assures the patients and their family members that they are in the right hands. A certification brings you not only recognition, but also a sense of achievement and confidence, which you long for. Enhanced confidence and knowledge help in boosting the earnings. Nurses with certification earn more money. In a recent survey, it was found that those certified in a specialty earned $7300 per year more than those, who were not certified. Certified nurses have better career opportunities. In many healthcare facilities, nurses with certification are preferred over the non-certified ones. Certified RNs also get chances to join different expert panels and participate in development workshops. Registered nursing is ranked amongst the top 10 occupations having the substantial job growth. Holding a senior position results not only in a larger number of opportunities, but also an enormous increase in salary. The applicant must be a graduate from any state-approved nursing program (associate, bachelor or diploma programs). 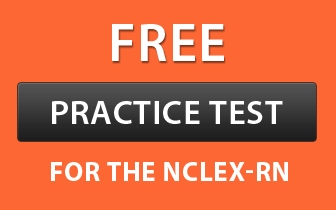 Candidates must possess an NCLEX examination pass score-card. Aspirants must deposit a self-report on any functional ability deficits, criminal convictions, and chemical dependencies. The applicant is ought to deposit the requisite certification fees along with the other documents. Acquiring credentials after completing one of the programs- diploma in nursing, BSN degree (Bachelor of Science in Nursing) or ADN degree (Associate of Science in Nursing) is the first step towards acquiring the registered nurse certificate. Choose any of the coursework according to your preference. Once you decide which course you want to pursue, next enrol yourself in a state-recognized institute or school. It's essential to get quality education. The next step is to appear for the NCLEX-RN (National Council Licensure Examination – Registered Nurses), which is a computerized adaptive test and comprises of multiple choice questions. This examination is conducted by the National Council of State Boards of Nursing (NCSBN). It's compulsory to qualify this test to get a certification. After passing the exam, candidates are required to fulfil the requirements prescribed by their state and submit an application to possess the registered nurse license. Some universities offer blended programs comprising of on-campus and online courses. These online courses are specifically available at associate's degree level (ADN degree) for those students, who don't have any experience in this field, and at bachelor's degree level (BSN degree) for aspirants already having RN licences. The increasing benefits of online nursing courses have led to the growing interest of the candidates in opting distance educational courses. A lapsed license is one that has been placed on inactive status or has not been renewed. Getting a lapsed license renewed is a costly and lengthy procedure, which involves the payment of a penalty fee, the renewal fee for all the years the licensee was previously practising as a nurse, as well as the fee for the current renewal year. RNs may also choose to lapse their license if they no longer desire to practice nursing. An inactive license is the one, which has been put on "hold" for a certain period of time. To convert an inactive license to an active one, the applicant only needs to pay a fee for the current renewal year. RNs practising with an inactive license are considered illegal in all the states of the USA. Each state in the USA issues its own certificate to the eligible registered nurses. Transfer of RN license is, therefore, required if a person wishes to work in another state. The reciprocal states recognize the license from other states and do not require any further tests, whereas the non-reciprocal states necessitate the candidates to undergo the tests. At present, all the 50 states practice reciprocity. You just need to pay a fee and submit an application to get the certificate of that state where you wish to work. All the states have their own Nurse Practice Act, so it's your responsibility to acquaint yourself with the laws of the new state. When you apply, the state will send you a copy of the NPA along with the application materials. Before applying for transfer to a new state, you must have a legitimate certificate in your current state. Usually, a temporary permit is issued initially by the transferred state and a permanent license is issued after completion of a background check and a series of investigations. A 90-day temporary work permit will be issued after submitting a complete application with the required fee. This temporary permit, in addition to the current license of the original state, should be provided to the employer. On receiving a new license, you need to provide a copy of it to the current employer. You cannot work as a registered nurse if you don't receive the license within 90 days. The registered nurse license needs to be renewed after every 2 years. Every RN requires timely renewal of their license depending on whether the license is active, inactive or lapsed, and has to pay a fee for the same. The certificate can be renewed either by mail or through online system, depending on the respective state boards of nursing. In California, RN License is issued for two birthdays, i.e., it will expire on the last day of your birthday month. Renewal notices are generally mailed three months before the expiration date of the license. Each state of the United States charges different renewal fees. You need to pay the fees while submitting the application and other documents. For an active license, the RNs are required to complete 30 hours of continuing education conducted through a board approved continuing education provider. The applicants, who have not fingerprinted initially by the Board, are required to present a complete set of fingerprints for a criminal history record check to the Department of Justice. In the renewal process, the licensees are required to indicate if they have had disciplined by any government agency or other disciplinary bodies or have committed any crime in the USA since their last renewed license. The continuing education and the penalty fee of the licensee are waived off by the Board if he/she is serving the U.S. military armed forces. The licensee is required to submit proof of 30 contact hours of continuing education taken within the last 2 years to convert the certificate into an active one. In order to change a lapsed license into an active one, proof of completion of 30 hours of continuing education and the renewal fee should be submitted. In case, the lapsed license exceeds beyond 8 years, the licensee is required to retake and pass the certification exam all over again. The appropriate fee should be paid by the credit card (while using the online system) or in the form of a U.S. Money Order or check (by mail) to the Board of Registered Nursing. Submit the completely filled renewal application either via online or by mail (hardcopy).